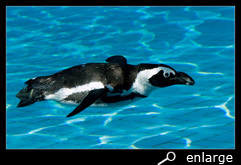 Research for the behaviour of penguins in the water(swimming and hunting) isn't that evident. First of all they live in a cold region, where the weather is often bad and visibility very limited. From a boat they can hardly be seen, while their backs are dark and only a small part is above the water surface. Moreover they dive when a boat comes too close. Studying under the water, in a wetsuit, can also be very frustrating, because either they are too afraid and flee (African penguins consider a diver as an enemy), or they approach out of curiosity (e.g. king- and gentoo penguins). In both cases their behaviour isn't natural anymore and therefore in a scientific way not correct. Therefore, for a long time they didn't knew what penguins do eat. In earlier days they used a very cruel method, searching for an answer. They simply killed a penguin, when he returned from sea, and cut him open to examine his stomach. Luckily this method isn't practised anymore. By the method of "gastric lavage", also used in the medical world, they could determine the content of the stomach of an African penguin. By first pumping water in the stomach of a bird, that seemed to have no food for a long time, they could find out when he "overflow". The bird, who only weights 3 kilo, was able to take up 0,7 l water. In proportion to a man of 80 kg this means 19 litres. After releasing the penguin, of course he threw up and then it appeared that he even had several fishes in his stomach. This method seems a bit cruel too, but at least they don't need to kill the bird. You should remember that even the Romans used a goose-quill to itch their gullet, so they could throw up and then go on with their banquets. And moreover birds are used to bring back the food while feeding their chicks. Gulls e.g. empty their stomach, when they are in danger, to distract the enemy. The predator often is satisfied with that food, and when not, the gull becomes lighter and therefore more manoeuvrable to flee. The text above comes from the book "Die Welt der Pinguine" and is the result of the research, done by Mr. Rory Wilson, who first used the method of "gastric lavage" with penguins (early the eighties) and even improved it. For such kind of research they also use transmitters, with whom they can determine the dive depth, where penguins have been, their swim speed and it is even used as thermometer and photometer in the water. According to the results they can pretty good reconstruct what a penguin has done. 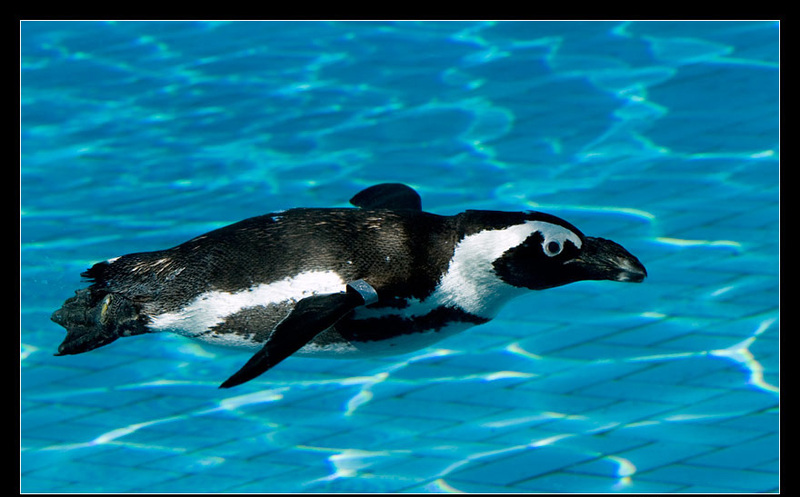 With the help of such transmitter and two antennas, they can locate a penguin, as soon as he turns up on the surface of the water.